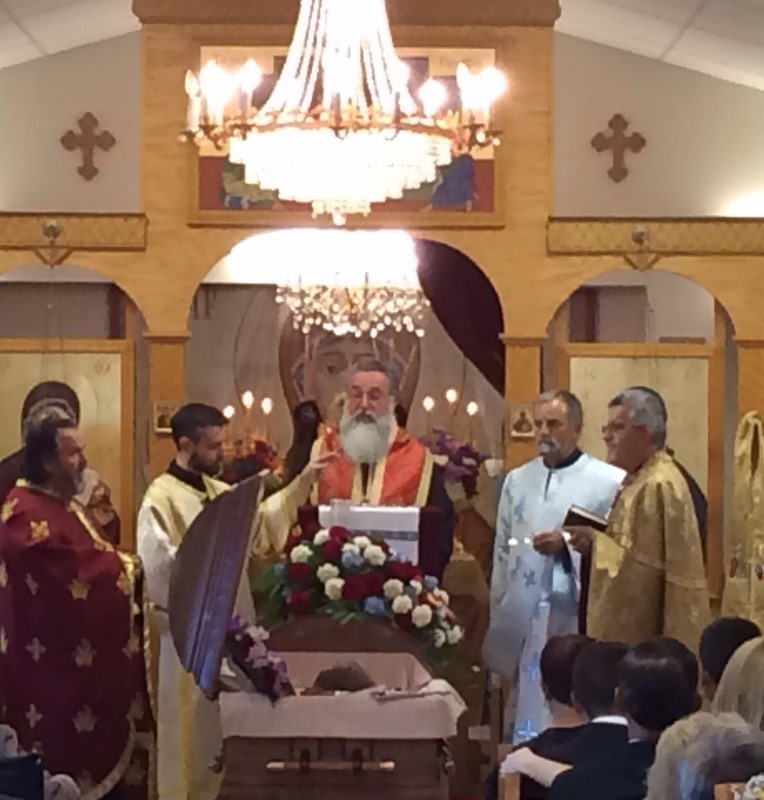 Indianapolis, IN - His Grace Bishop Longin at the funeral service of Milorad (Milo) Cvetkovich, the first executive board president at St. Nicholas Serbian Orthodox Church in Indianapolis Indiana. Milo, together with his family, was the pillar of St. Nicholas Church. We give thanks to God for giving us such an example of what it means to be a good man. This little write up is meant to share the name of such a great man with the rest of the church in this country and countries around the world. His favorite prayer (to which he stood even when he couldn't stand) was the Lords prayer, and his favorite verse was the one engraved on his casket: "the Lord is my shepherd." What more is there to say about such a person then - may his memory be eternal, may God establish his soul whare the Saints repose and give his family strength to overcome this temporary separation. Vjecnaja Pamjat! 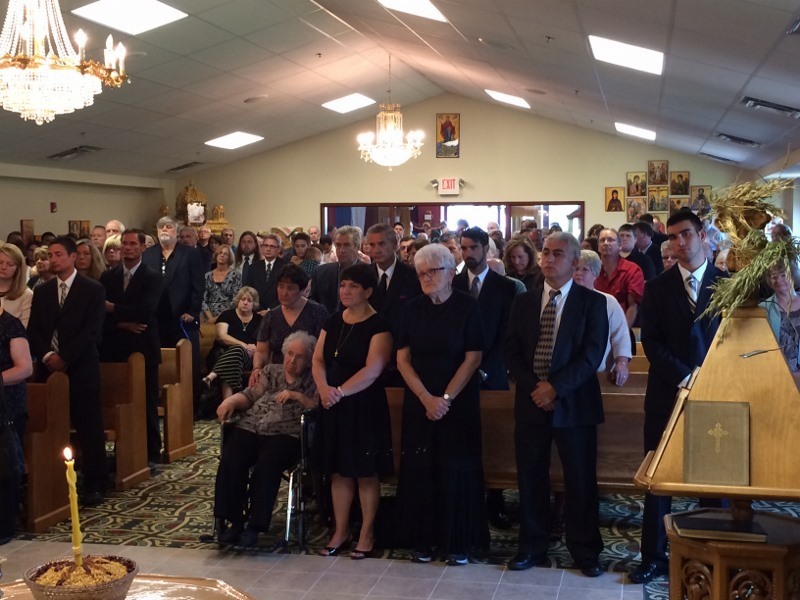 Milo's funeral arrangements were completely church centered. The visitations took place at the St. Nicholas church yesterday during which vespers service was read on the eve of St. Elijah. 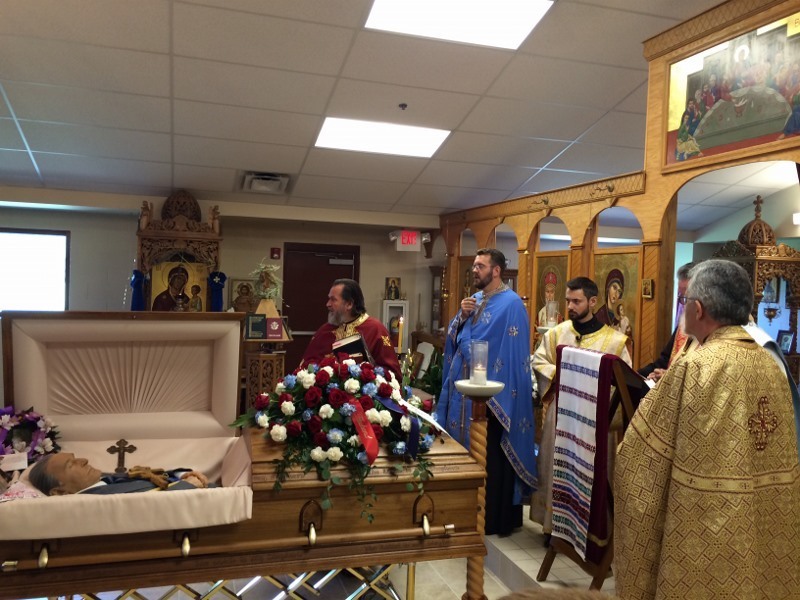 His body laid in church during the night and was present at the Divine liturgy which began at 9 AM. Following the liturgy the bishop came and the funeral service started. After the service the body was laid to rest at a close by cemetery, after which all returned to the church for a meal in his memory. May his memory be eternal!